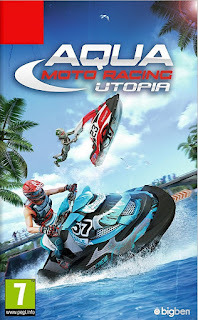 Fun, competitive, online and split-screen multiplayer: Aqua Moto Racing Utopia is perfect for Nintendo Switch. Enjoy the thrills of jet-skiing on dozens of courses, performing tricks and stunts on your own or with friends. With lots of achievements and content to unlock, the game guarantees hours of fun with a very high replay value.